Church bells, Stretch Limos, Delicious food and Pretty Bridesmaids are just a few things that come to my mind when I hear the word wedding. Whether it be inside a church, or by the Beach weddings will always be an event everyone will remember. 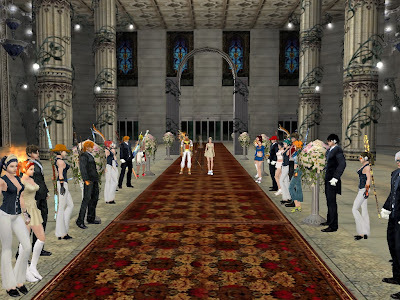 But this wedding event however is different or more like "Unique", for this particular wedding event takes place in the very game itself (Ran Online). Aside from your normal grinding and hunting routines, players may now actually get married giving them a totally different gaming experience. 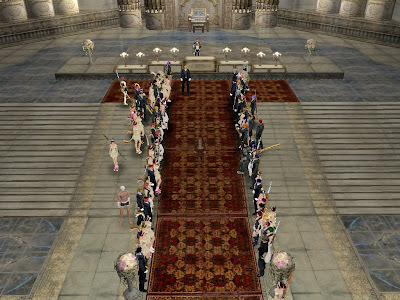 At around 10:00pm tonight August 30, 2009 I witnessed the epic marriage of JericRaval and missprinsesa (Strife server). What started as just another simple wedding quickly turned into something far greater as GM's started to appear one by one. 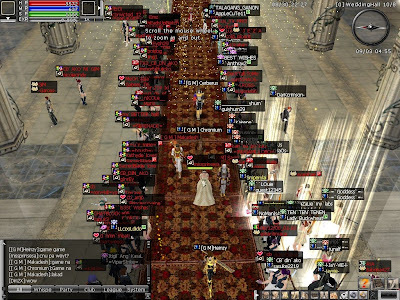 We were really overwhelmed to see how many players attended the said wedding. Facilitated by "Father GM Lyle" everyone witnessed missprinsesa walking down the carpeted isle and finally exchanging vows with JericRaval. Right after the words "You may now kiss the bride" the GM's and the other players then started to congratulate the newly weds. Now it was time for the reception! However reception party's at Ran wedding events are far from your usual Fancy restaurants or Caterers. 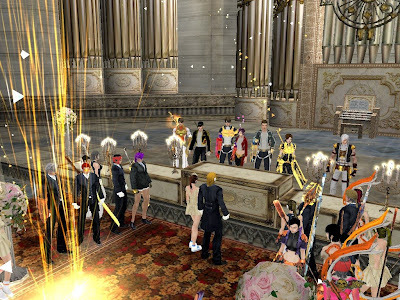 Instead of eating delicious food, numerous mobs are summoned for the newly weds and the invited guests to feast upon. Not a bad finisher for such an extraordinary event. Now some of you are probably curious as to how honeymoons are in Ran Online? Well that is something we leave to the players ^__^v. Cheers to JericRaval and his bride missprinsesa! Want this Event in Your Character?